The freedom to create artwork and embroidery data just the way you want. Integrated Corel Draw Essentials provides vector artwork for you to click on and convert to an embroidery design. There is a greater selection of monogram patterns for increased variety in your work. Place the design layout in a larger area beyond the hoop and assign manually split objects to multiple hoops. There are also various upgrade kits available. When used with a pen and tablet, the Freehand drawing tools allow you to digitize shapes and lines as easily as drawing with a pencil and paper. 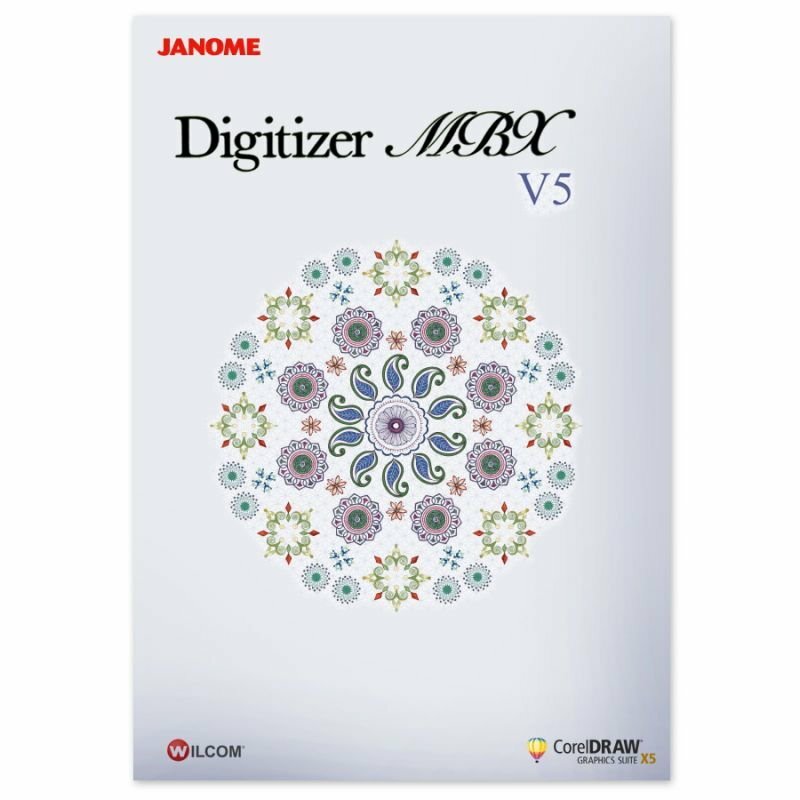 If you are new to digitizing, enter the world of embroidery design with Digitizer Jr. Janome's Digitizer Jr software gives you the freedom to express yourself in stitches. Contact your local Janome dealer today for details. Discover what you can do in Digitizer software. Learn how to digitize from our Educators. Create your own project using Digitizer MBX.